In the midst of rampant ivy and more closely bunched tall trees, here competing for the sky in the heart of the Nature Reserve, is a lonely fragment of iron fencing. This is all that remains of the more extensive rear gardens and tennis courts typical of the gardens belonging to houses like that of Edith Nesbit in the 1890’s, but which are now smothered by over a century of natural growth. Only the delicious plums and apples remain in residence amongst these once domesticated grounds. 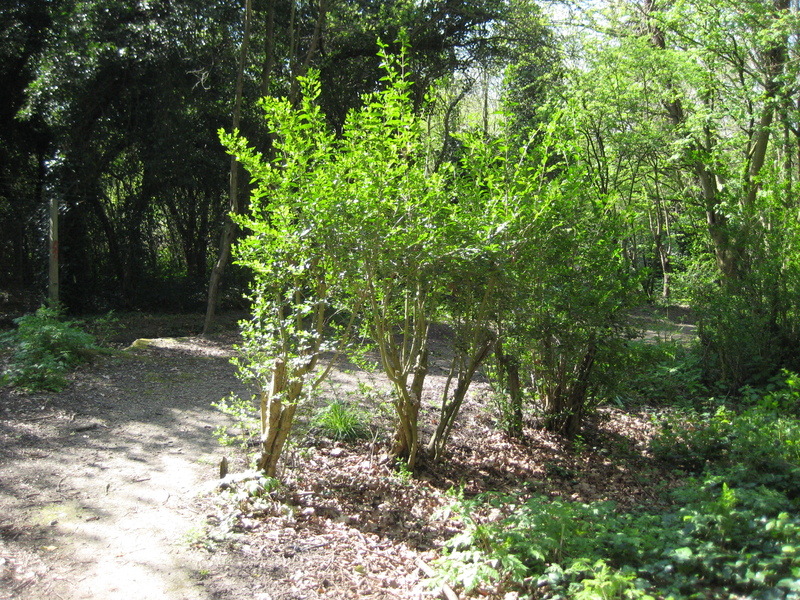 Other formerly planted species to be found here are horse chestnut trees, privet hedges and snowberry weeds.